In 2015/16 I spent 12 months volunteering as a teacher in Malawi with Project Trust. I lived in a rural village called Bolera which soon became to feel like a second home due to the warmth and generosity of the village. Although the school I volunteered in was fairly well resourced, I came across schools in Malawi which lacked the resources you would expect to see in schools, such as curriculum books, wifi or computers- resources we take for granted as part of our education in the UK! The first school we are working with in Malawi is Colourful Dreams School. The school was set up by Thom Symon, a talented Malawian artist who has single-handedly built the school for his village. He raises funds for the school by selling his art work. It currently has two classrooms, but provides education for 100 students, so his next plan is to build a third classroom! We aim to help him get the funds he needs by carrying out fundraisers for him here in the UK. In addition to this we aim to fund the provision of wifi, projectors and computers in schools across Malawi, which will greatly help with the planning and delivering of lessons. The Foundation also plans to assist with teacher training where schools request it, and to create teaching resources alongside Malawian teachers which are relevant to the Malawian curriculum. 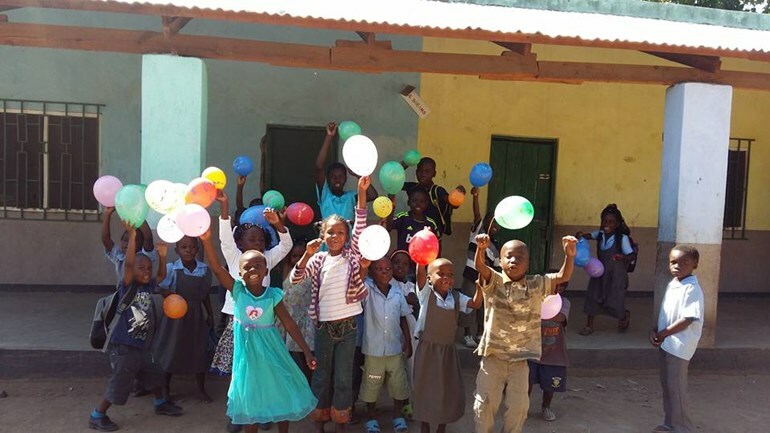 If you want to support our work in Malawi, please contact me via [email protected] or support the new classroom at Colourful Dreams here.